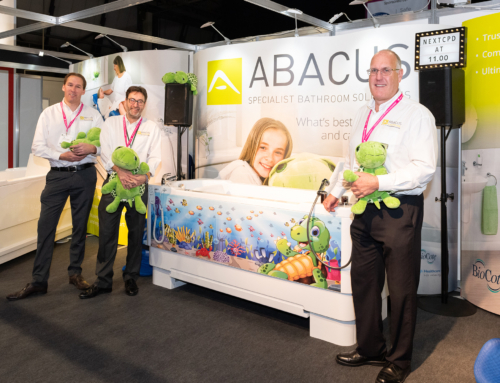 Our popular assisted Gemini bath with unique double-lift action has generated high levels of interest at the latest Kidz-to-Adultz-Middle show (15th March 2018. Ricoh Arena Coventry). 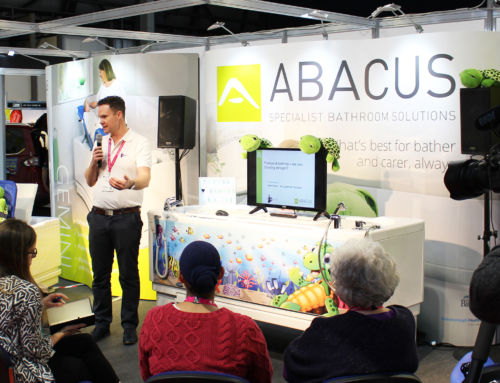 Our senior product specialists were busy throughout the whole event discussing individual bathing needs with families and disabled children. They listened and engaged with visitors and explained why the Gemini variable height bath with integrated changing, drying and bathing platform, is a preferred paediatric solution for many families and Occupational Therapists. It offers comfort and reassurance to young bathers with restricted mobility and ensures carers can operate at safe working heights. We demonstrated the Gemini to children, parents and healthcare professionals so they could see its functionality and appreciate how it facilities a more positive bathing experience. We received a substantial number of assessment requests from visitors who were keen to acquire an accessible bath from us. We explained that as a UK-based manufacturer, we are able to provide a complete service from initial bather assessment and site survey through to bath installation and after sales care. We work closely with OTs to ensure appropriate product provision every time and continue to provide free educational material that empowers parents to make an informed decision. In addition to the free guides to bath funding on offer, many visitors took the opportunity to enter a free prize draw to win a cuddly toy version of Trevor the Turtle, our company mascot. Come and see us again at Kidz-to-Adultz-South, Thursday 17th May, Farnborough International, Etps Road, Farnborough. GU14 6FD. 9.30am – 4.30pm. Free admission.